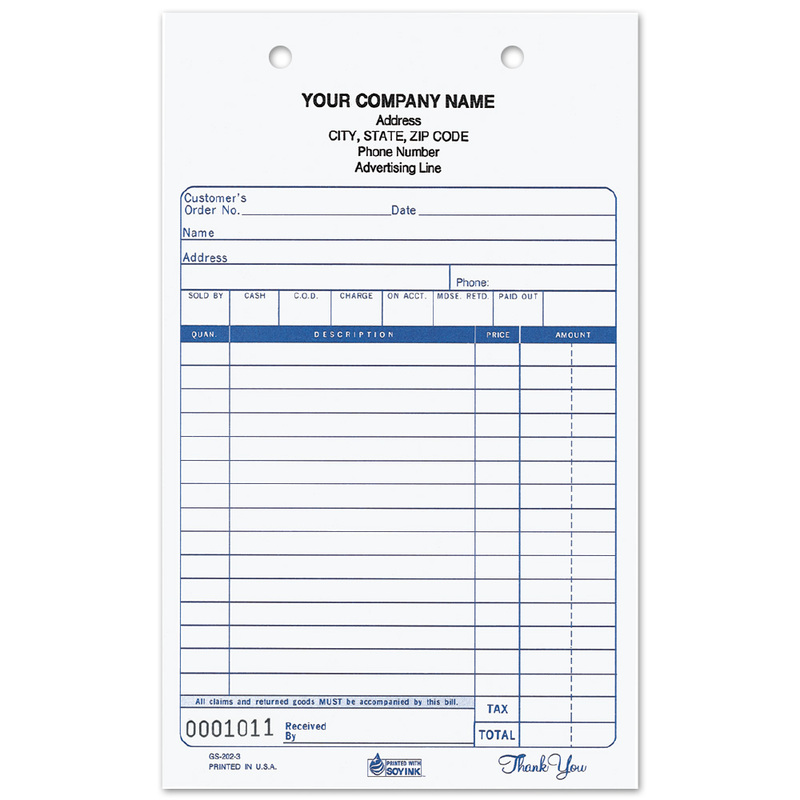 These Custom Imprinted Forms are 2 part and includes five line custom imprint with Business name, address and advertising line. Sequentially numbered -choose a six digit starting number or first book will start with 001001. Available in red, blue or black ink. 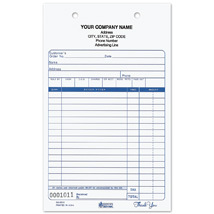 Free Register Machine with purchase of 1,000 or more Forms.